About Since 1964 Mountain Training Scotland has overseen the provision of consistently high quality training and assessment of in the skills required for the safe leadership and instruction of climbing and hillwalking in Scotland through the provision of Mountain Training UK-wide qualification schemes. Mountain Training Scotland (originally called Scottish Mountain Leader Training Board or SMLTB), as one of five national Mountain Training boards, works closely with Mountain Training United Kingdom, to develop and manage a portfolio of qualification schemes. This ensures parity in the qualifications syllabi, and consistency of delivery across all the national Mountain Training boards throughout the UK and Ireland. Mountain Training Scotland is managed by an executive board of four volunteer directors. A full-time executive officer is responsible for the operational management of Mountain Training Scotland, including its interaction with Mountain Training UK. 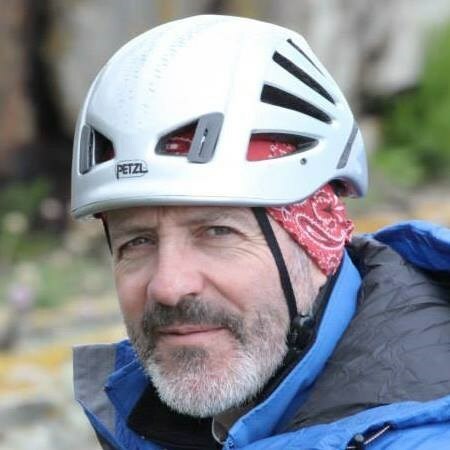 The executive board reports to the members of Mountain Training Scotland, who are nominated representatives of Scottish-based organisations with a strategic interest in and commitment to the Mountain Training qualification schemes. A community of world-class outdoor leaders, instructors and coaches, representative of a diverse, fit and active society, supported by innovative and sustainable mountain-related training qualification schemes. Mountain Training Scotland provides innovative leadership and ensures consistent quality in mountain-related skills training and coaching in Scotland. “Mountain Training Scotland’s purpose is the advancement, for public benefit, of education and training (in conjunction where appropriate with other bodies or persons) in the skills required for the leadership and instruction of safe hill, mountain and moorland walking, mountaineering, rock and ice climbing and other associated activities practised in cliff and mountain environments, and to offer advice on matters of training and safety.” Excerpt from Mountain Training Scotland’s Articles of Constitution and our charitable aims. Mountain Training Scotland is open, welcoming, and accessible to all with a shared interest in mountain-related activities. We encourage diversity and seek to remove barriers to individuals’ and others’ involvement and participation as leaders and instructors of mountain-related activities. We support and encourage sustainable and sympathetic use of the outdoors by all users. Mountain Training Scotland is innovative in the development of our work practices and creation of development projects. Mountain Training Scotland is outward thinking and seeks to work in collaboration with key partners and relevant organisations to fulfil our strategic aims. Mountain Training Scotland is a Company Limited by Guarantee (Company No.215532) and registered as a Scottish Charity (SC031047). Detailed actions and success measures are identified in an annual Operational Plan. Our Annual Report will reference these priorities as well as other important aspects of our work and achievements. Our priorities collectively help to deliver our mission. Information and guidance about how to become a Mountain Training Scotland provider or gain course director or tutor approval can be found here. Strategic partners have significant operational and/or financial relationships with Mountain Training Scotland. sportscotland, the national agency for sport, works with partners (including Mountain Training Scotland and Mountaineering Scotland) to build a world-class sporting system for everyone in Scotland. sportscotland supports the development of outdoor and adventure sports through its range of national centres, which of specific relevance includes Glenmore Lodge. sportscotland’s key outcomes include increased participation and progression in sport. In relation to these outcomes sportscotland invests in Mountain Training Scotland to support its development and implementation of new initiatives and projects. Crucially, this investment enables Mountain Training Scotland to operate beyond basic provision of its core business. Mountaineering Scotland aims to inspire and encourage people of all ages, abilities and backgrounds to enjoy mountaineering activities responsibly, through its educational programmes and provision of relevant information concerning mountain safety, access and conservation. Many (but by no means all) Mountain Training qualification candidates are drawn from this community of active hillwalkers, mountaineers and climbers. The profile of Mountain Training qualification candidates reflects the demographic of this community. A common aim of both organisations is to work together to broaden the diversity of this community, both by ethnicity and gender. The provision of educational programmes and safety training significantly relies on qualified leaders, instructors and coaches, whether as volunteers or as professionals. Mountain Training Scotland supports the mountain safety, access and conservation aims of Mountaineering Scotland by providing trained and qualified leaders, instructors and coaches through the Mountain Training qualification schemes. Mountain Training Scotland is also uniquely placed, with its wider links to UK-wide and Ireland-wide organisations through Mountain Training UK, to provide support and advice relating to matters of mountain safety and training. Glenmore Lodge, Scotland’s National Outdoor Training Centre, operates within the sportscotland family of national centres. Glenmore Lodge defines its leading core function as supporting and developing leaders, coaches, guides and instructors. Glenmore lodge recognises governing body qualification pathways as a key enabler for quality participation in outdoor sport. Its position in terms of staff skills and experience (both personal and of working on a variety of National Governing Body qualification schemes), and resources, makes Glenmore Lodge uniquely equipped to support the core work of Mountain Training Scotland. Directors Mountain Training Scotland is managed by an Executive Board of five volunteer Directors, elected by the Members of Mountain Training Scotland. A full-time paid Executive Officer, (supported by a part-time Administration and Finance Assistant and a part-time Technical Officer) reports directly to the Executive Board and is responsible for the day-to-day operational management of Mountain Training Scotland, including its interaction with Mountain Training UK. The Executive Board reports to the Members of Mountain Training Scotland. Council of members These are stakeholder organisations that have a significant interest in the Mountain Training qualifications managed by Mountain Training Scotland. They are all Members of Mountain Training Scotland and contribute actively to the management of Mountain Training Scotland by monitoring its activity and giving guidance to the organisation. This includes, collectively, helping to set overall policy, deﬁning and setting targets, and evaluating performance against agreed targets via thrice-yearly Business Meetings. Each Member organisation can appoint up to 3 nominated persons to attend meetings provided the individual is an appropriate representative of the organisation. Each organisation has one vote. Advisers have the right to speak but do not have the right to vote at any MTS meetings.